Jan Snijders belongs with its twin brother Peter Snijders, Anton Geesink, Hein Essink, Tonni Wagenaar, Coos Bontje, Jan van Ierland, Martin Poglajen, Joop Gouweleeuw, Wim Ruska, Ernst Eugster, Henk Numan, Peter Adelaar, Willy Wilhelm, Ben Spijkers, Anthony Wurth and Theo Meyer to the generation top judoka which gained their successes in the sixties and seventies. 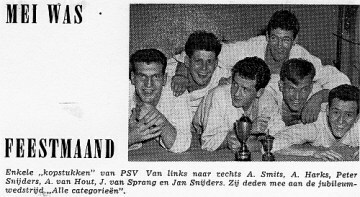 Jan Snijders started with judo in 1954 in the judoschool of PSV. 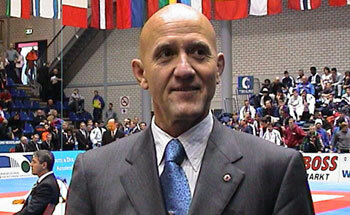 Already in 1961, he gained gold in Milan on the European Championship for Juniors (Hans van Essen, 12 November 2002). In 1962, he became European champion in Essen (Germany). In 1964, he participated in the legendary Olympic Games in Tokyo where Anton Geesink as a first European conquered Gold in the heaviest weight class. In the years 1962 up to and including 1972 he participated in the national Dutch selection, became 8 times Dutch champion, conquered 3 x silver and 2 x bronze on the European championships and became 1 x fourth and 2 x fifth on the World Championships. Jan Snijders as well as its twin brother Peter was known, or notorious, for its technical perfection. 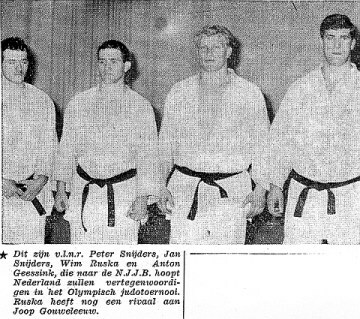 Jan Snijders gained in 1967 its diploma as a judo teacher and started its judo school. 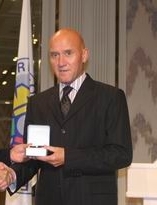 As from 1972 Jan Snijders acted as a referee. Firstly national, as from 1976 continental (E.J.U.) and as from 1984 internationally (I.J.F.). This way he was among other things referee on 7 World Championships and several Olympic Games (for instance Seoul in 1988, and Barcelona in 1992,). Moreover he has been member of the Dutch District degrees Commission and 7 years President of the Dutch District Referee Commission. In 1992 Jan Snijders became a member of the E.J.U. 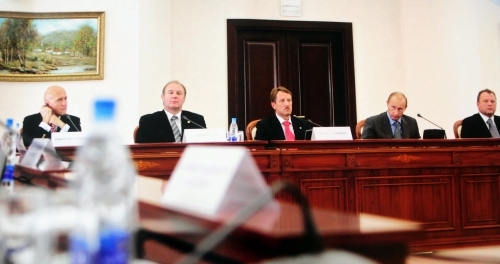 Referee Committee and is since actively involved in European and World championships. On 56e the congress of the European Judo Union (3 December 2004 in Budapest (Hungary) Jan Snijders has been appointed Referee Director by the Directing Committee of the EJU. In that quality he gives among other things guidance and seminars to E.J.U. 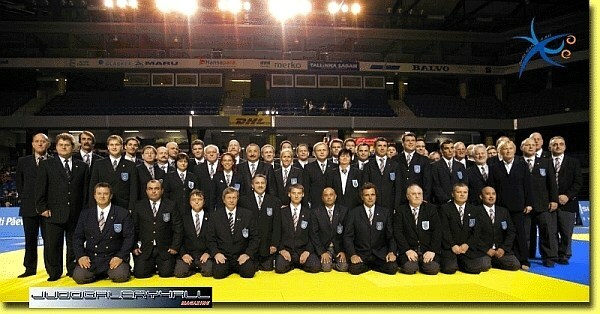 referees (for example in Sweden, Portugal, Cyprus, Germany, France, Russia, Hungary etc. etc.). Jan Snijders has been involved in the training of E.J.U. referees, in the judo reglementation/legislation and evaluation of judo techniques. 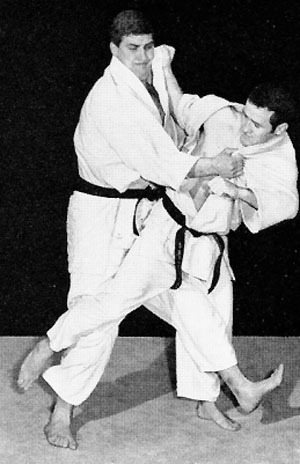 In 1990 Jan Snijders became 7th dan grade, in 2003 he was appointed 8th dan. In September 2003 the international judo federation IJF honoured him with the Silver Medal for its merits for the judo sport in the Osaka. Moreover Jan Snijders, up to today gives judo lessons in Oirschot, Bladel, Deurne and Gemert. Anton J. Geesink, Dutch IOC representative wrote on Jan Snijders (From: NOC*NSF MASTERPLAN DOORSTROOM; march 2003): Jan Snijders is a splendid example of a bottom up sport career of athlete to sport official. Recently the EJU Directing Committee board has appointed Jan Snijders Director and chairman of the Referee Committee of Europe, an honour up till then never attributed to a Dutchman. Firstly a fantastic judoka, then coach, as a result of which he showed the necessary involvement. Afterwards Referee in the Netherlands, then Europe and afterwards globally and now Official in the EJU. That is ideal career that the sports official must take to represent the associations and athletes at the highest levels of interests.